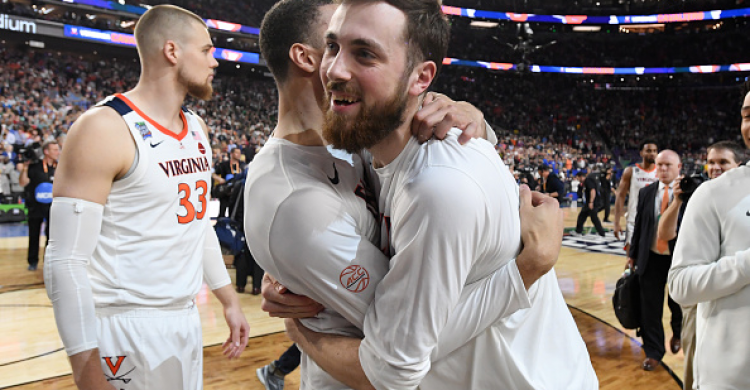 Dan Servodidio gives you a number of different ways you can bet the 2019 NCAA men's college basketball finals between the University of Virginia and Texas tech University. You made it, college basketball fans! After 5+ months of betting on games and weeks of watching your brackets get busted, the season comes to a conclusion tonight with the National Championship matchup between 1-seed Virginia and 3-seed Texas Tech. Each day during the tourney, we’ve highlighted a couple games or lines as the “Best Bets” with interesting point spreads and over/under’s that we can take advantage of. The numbers below are according to the Bovada Sportsbook and the player props come to us via the Westgate SuperBook. Over the entirety of the Big Dance, we are now 12-6 with our highlighted suggestions - including both bets of the Final Four and notable first-round calls of Yale (+7 over Yale), Murray State (+3.5 over Marquette) and UC Irvine (+4.5 over Kansas State). The championship game total opened as the lowest over/under (120) in the past 20 seasons. It’s now down to 119 total points - and we’re still telling you to take the under! This matchup pits two teams with very similar styles. Virginia and Texas Tech both pride themselves in defense controlling the pace of the game by forcing the opposition to use up the majority of the shot clock while taking their own time on offense to set up the best possible shots. According to KenPom, Texas Tech boasts the nation’s top-ranked defense while playing at the 82nd-slowest pace on offense (out of 353 rated teams). Meanwhile, Virginia has the 5th-best defense and its offense runs at the 2nd-slowest tempo in the country. In each Final Four matchup, we saw Virginia squeak out its 1-point win over Auburn with 125 combined points. On the other side, Texas Tech held Michigan State to only 51 points in a game with just 112 total points. Taking the under with this total will make you sweat, but it’s the right thing to do with the style these two teams prefer to utilize. After looking at all the player props for both squads, these two lines for Texas Tech stud Jarrett Culver stand out right away. Although this game will be low-scoring, you can expect Culver to be the most active scorer for the Red Raiders despite a below-average performance in the Final Four win over Michigan State. Culver only scored 10 points in that matchup, but he entered the game averaging 21.5 points in the tournament with three outings of at least 22 points scored. Expect Culver to bounce back tonight as he drives to the rim more often because his outside shot is a bit off lately. Thus we get to our second prop - the free throw. Culver only made 3-of-6 free throws on Saturday, but he made seven the previous game and four the game before that. Over the past ten games, he’s averaging 4.4 made free throws per outing on 5.8 attempts. We should see Culver more active in the paint in this one, though, and he’ll likely be taking more than six free throws - and with his season-long 70.3%, that should give us the over 3.5 we’re banking on.